Home » General Health » Is Low Thyroid Function Making You Tired? 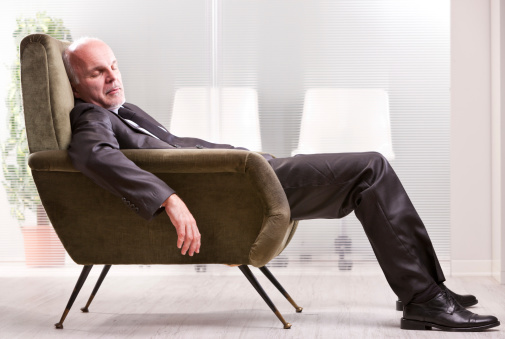 Is Low Thyroid Function Making You Tired? Hypothyroidism is a scary and quite confusing condition. The symptoms associated with low thyroid function are all over the map. It could start with tension in your throat or even mild depression. Other possible signs of hypothyroidism include puffy eyes, eyelid swelling, ridges on your nails, weight gain, edema, dry skin, hair loss, constipation, nervousness, concentration issues, slower heartbeats, hoarseness, hypertension or hypotension, and early menopause in women. If not treated, other serious degenerative diseases may develop, such as lupus, fibromyalgia, cardiovascular disease, or various types of cancer. A 1995 Colorado health fair study tested the thyroid function of 25,862 participants—10% of the adult population was found to have hypothyroidism. That number increased to over 20% amongst senior citizens. Dr. Broda Barnes wrote the 1976 book Hypothyroidism: The Unsuspected Illness. Using basal body temperature and symptoms as considered for a complete diagnosis, he estimated that 40% of North Americans have hypothyroidism. Most doctors only use the thyroid-stimulating hormone (TSH) blood test. When TSH levels are elevated in the blood and thyroid hormone levels are low, this indicates primary hypothyroidism. When the TSH levels and thyroid hormone levels are both low, it is known as secondary hypothyroidism, and the pituitary gland may be responsible. This is where it gets kind of tricky. These tests are far from perfect. It is estimated that only two to five percent of hypothyroidism cases are diagnosed from the TSH blood test. The blood tests are designed to measure the circulating hormone level, while the thyroid hormone also affects the inside of the cells in the body. A saliva test would be a better option to test inside the cells. Can Low Thyroid Develop From Adrenal Fatigue? Thyroid hormone replacement therapy is often used to treat hypothyroidism. Your doctor may prescribe synthetic thyroid hormones or T4 (levothyroxine), which can cause side effects such as insomnia, irregular heart rate, or excessive sweating. In fact, 70% of hypothyroid patients still complain of symptoms! If a person also has adrenal fatigue, and it is not being addressed, then levothyroxine (the medication used to treat low thyroid activity) is not recommended with untreated adrenal gland problems. The synthetic thyroid hormone, or desiccated thyroid supplementation, will increase metabolism and overload the adrenals. Adrenal fatigue may actually be the most common cause of secondary low thyroid problems. When the adrenal glands produce excessive cortisol, adrenal fatigue can be the result, and this can impair the TSH stimulation of the thyroid. The natural TSH-T4 (thyroxine) therefore cannot be converted to the active thyroid hormone T3 (triiodothyronine) in the body. Luckily, hypothyroidism can be reversed once the root problem—adrenal fatigue—is successfully treated; in fact, your thyroid and adrenal problems can be treated together. Supplementation and foods with supportive nutrients will help replenish the adrenal and thyroid glands. Thyroid hormones are typically made from the amino acid tyrosine and the mineral iodine, and these nutrients are important for thyroid support supplementation. Kelp is a sea vegetable high in iodine that should be considered for hypothyroidism. Selenium, zinc, vitamin A, vitamin E, vitamin D3, vitamin C, and B vitamins (especially B2, B3, B6, and B12) are important for normal thyroid production. Vitamin C, vitamin E, and B vitamins (especially B5) are also important nutrients for adrenal support, and magnesium and potassium should also be considered. Stress relief is another important factor for people with adrenal fatigue or hypothyroidism, and adaptogenic herbs can help treat both conditions. Ashwagandha and ginseng are the most common herbs used to treat both conditions. Finally, I also advise getting on the yoga mat or practicing relaxation techniques. Tai chi, qigong, and restorative yoga are perfect for stress relief. Murray, M., et al, The Encyclopedia of Natural Medicine (New York: Atria Paperback, 2012), 716-722. Nutritional Symptomatology Level II (Toronto: Institute of Holistic Nutrition course notes, 2014), 180-186. Lam, M., “Adrenal Fatigue versus Hypothyroidism,” Adrenal Fatigue Center web site; http://www.drlam.com/articles/adrenalfatiguevshypothyroidism.asp, last accessed July 20, 2015. Canadis, G.J., et al., “The Colorado thyroid disease prevalence study,” Archives of Internal Medicine 2000; 160(4): 526-534.